Answering a call from United Airlines to replace its aging CRJ200s and add more high-yield seating to the airline’s existing fleet, Bombardier has agreed to revisit what had become a virtually defunct market for 50-seat regional jets with the launch of a three-class version of its CRJ700 known as the CRJ550. Under the plans announced Wednesday, United Airlines regional affiliate GoJet will fly the airplanes for 10 years and launch services out of Newark and Chicago in the second half of the year. 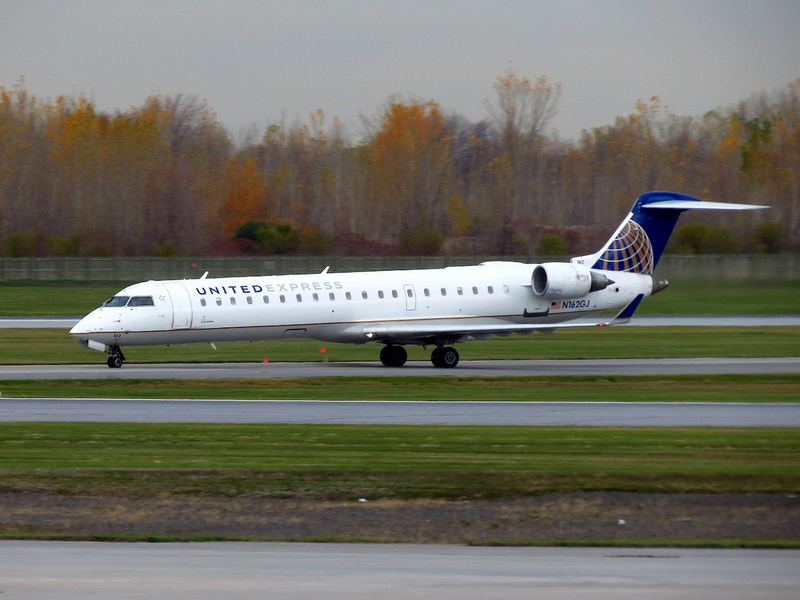 United said it plans to place 25 airplanes reconfigured from its existing fleet of CRJ700s into service by the end of the year and another 25 by the summer of 2020. The new aircraft would carry 10 first-class seats and 20 premium economy seats, along with a beverage and snack station in the first-class cabin and four storage closets that would add enough baggage capacity to virtually do away with the need for gate checks. The plan accounts for part of a larger strategy by United to add 1,600 premium seats to some 250 mainline and regional airplanes. Over the next several weeks, United plans to introduce the first of 21 reconfigured Boeing 767-300ERs carrying 16 more United Polaris business seats, bringing the total premium cabin seat count to 46. The aircraft will also hold 22 United Premium Plus seats, 47 Economy Plus seats and 52 economy seats. United plans to introduce them between Newark/New York and London and complete the fleet deployment by the end of next year. Separately, starting this fall the carrier plans to add four first-class seats on its fleet of Airbus A319s, increasing the total count from eight to 12. Beginning early next year, United plans to add four first-class seats on its fleet of nearly 100 Airbus A320s, increasing the total count from 12 to 16. United expects to complete the interior work on the A320s and A319s by the middle of next year.